The U.S. added 164,000 jobs in April, lower than economists' forecasts. The unemployment rate last month fell to 3.9% from 4.1%. Apple Inc. (AAPL closed at an all-time high of $183.83 on Friday. 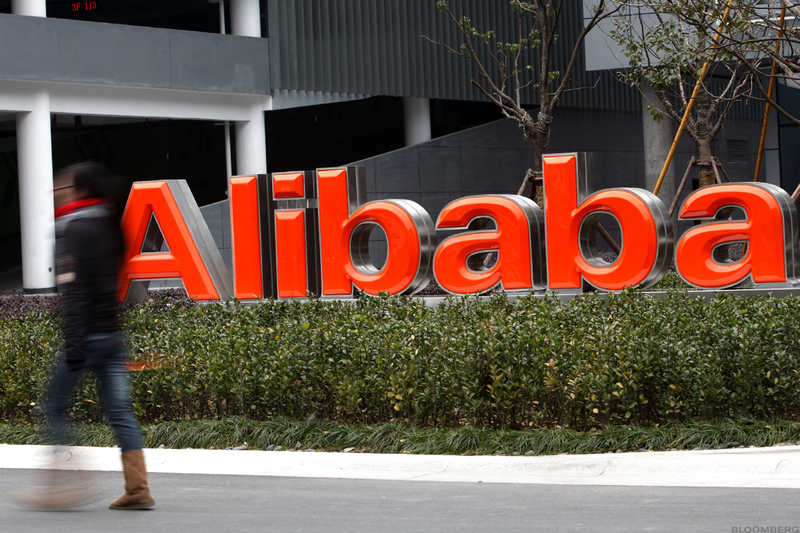 Shares of Alibaba Group Holding Ltd. (BABA rose 3.4% after the Chinese e-commerce giant posted quarterly earnings and revenue topped Wall Street expectations. For the week the Dow declined 0.20%, the S&P 500 fell 0.24% and the Nasdaq gained 1.26%. Stocks closed up sharply on Friday, May 4, as shares of Apple Inc. hit an all-time high and investors looked past a U.S. jobs report that came in below expectations. The Dow rose 332 points, or 1.39%, to finish at 24,262. The S&P 500 was up 1.28% and the Nasdaq rose 1.71%. Apple rose 3.92% to close at an all-time high of $183.83 after Warren Buffett reportedly purchased 75 million more shares of the iPhone maker and boosted his holdings in the company to about 240 million shares. Apple is a holding in Jim Cramer's Action Alerts PLUS charitable trust portfolio. The U.S. job gains of 164,000 in April fell short of economists' estimates that called for a 192,000 increase in nonfarm payrolls, while marking a pickup from the increase in March of 103,000. The unemployment rate fell to a lower-than-expected 3.9% and was down from 17-year low of 4.1% reported for the prior month. Economists has projected the unemployment rate to come in at 4%. Average hourly earnings climbed 2.6% over the past year, a slowdown from March's pace of 2.7%. Investors have scrutinized recent employment reports for clues on whether the Federal Reserve might need to accelerate the pace of interest-rate hikes to keep inflation in check as the economy expands amid tight labor markets. Low unemployment often leads to faster wage increases, a key driver of inflation. Investors also were monitoring trade talks between the U.S. and China. The Wall Street Journal reported that Treasury Secretary Steve Mnuchin and his heavyweight team of U.S. officials handed China a lengthy list of demands on trade, ranging from immediately cutting a trade imbalance by $100 billion a year to halting all Chinese government support for advanced technologies. The Journal cited a document that was sent to Beijing before the talks this week. The U.S.-China trade relationship is "significantly imbalanced," said the document, which was reviewed by the Journal. Alibaba posted stronger-than-expected fiscal fourth-quarter earnings as the Chinese e-commerce giant continues to challenge Amazon.com Inc. (AMZN for customer growth in key Asia markets. The stock was up 3.4% after falling earlier on Friday. Alibaba said non-GAAP net income for the three months ended in March were CNY7.561 billion ($1.18 billion), down 29% from the same period last year but largely as a result of "non-recurring disposal gains" booked in the fourth quarter of 2017. Non-GAAP earnings per share were CNY5.73, a 32% increase from the same period last year and well ahead of the FactSet consensus forecast of CNY5.42. Xerox Corp. (XRX said its board and management team will remain in place after a settlement with activist shareholders Carl Icahn and Darwin Deason expired. That's a reversal from news earlier this week, reported by TheStreet's Ronald Orol, that Xerox had settled with Icahn and his partner Deason to bring on six dissident-backed directors and oust the technology company's CEO, Jeff Jacobson. Xerox was up 0.21%. Activision Blizzard Inc. ( ATVI rose 4.5% on Friday after closing down more than 2% in the previous session after Dow Jones Newswires broke an embargo and published headlines on Activision's earnings early. Those headlines included an incorrect revenue figure. When it all got sorted out, Activision posted first-quarter earnings and revenue that topped analysts' forecasts. Newell Brands Inc. (NWL rose 3.6% after it reported first-quarter adjusted earnings of 34 cents a share, beating analysts' forecasts of 26 cents, and said it agreed to sell Waddington Group, its global consumer and commercial package manufacturing business, to Novolex Holdings LLC. Newell expects after-tax proceeds of about $2.2 billion from the transaction. Celgene Corp. (CELG was up 1.7% after the company reported first-quarter earnings and revenue that topped forecasts. Caterpillar Inc. (CAT named Andrew Bonfield, formerly finance chief of National Grid PLC, as chief financial officer of the heavy-machinery company. Bonfield replaces Brad Halverson, who is retiring. Caterpillar also rose 1.7%.